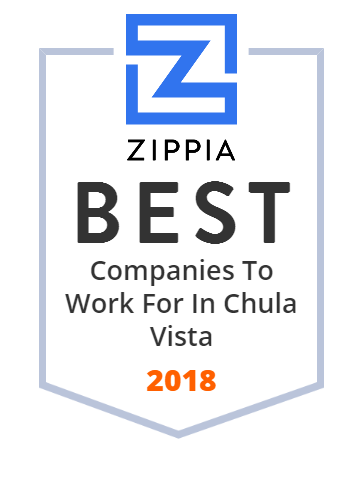 We hand-curated a list of the best companies to work for headquartered in and around Chula Vista, CA using data on salaries, company financial health, and employee diversity. A vibrant innovator in the industry, CNC Glass Interlayer Tech provides multiple solutions in the glass film field. This privately owned company specializes in EVA Films (Ethylene Vinyl Acetate) which meets various requirements for different glass application. CNC Glass Interlayer Tech offers Eva Super Clear, Eva Milky White, Green Masking Tape, Cutter For Cleaning Laminate Edges, and more. Community Health Group is a non-profit health plan operating in San Diego County providing high-quality healthcare coverage to families throughout the San Diego region for over 35 years. This reliable organization currently serves more than 270,000 members, and their plan members have a wide network of healthcare practitioners, hospitals and ancillary providers from which to choose. Youngevity offers a hybrid of the direct selling business model that combines the power of e-commerce with social selling. Under one corporate entity, Youngevity has established a virtual main street of products that include top-selling retail categories like health/nutrition, food and beverage (including coffee), spa/beauty, home/family, apparel/jewelry, and other innovative services. Their products and services are distributed through a global network of preferred customers and distributors. EastLake Church is people helping people find and follow Jesus Christ. This private organization is a safe place for everyone to explore faith in the community. It 'sa place to be themselves, grow spiritually, build friendships, and make a difference locally and globally. Everyone is welcome at their community, regardless of the person's story, his or her questions, doubts, or struggles. EastLake Church performs weddings, vow renewals, child dedications, and memorial services, among others. Welcome to Chula Vista. Chula Vista means “beautiful view” and there is more to see and do here than you can imagine! Visit Chula Vista for the best in outdoor recreation, family activities, and urban amenities. Founded in 1988, Mutsutech SA de CV is a full service company specializing in custom injection molding and the decoration of plastic molded parts. The company currently operates over 100 molding machines and has robots, which assist with parts extraction. Its manufacturing facilities are located in Tijuana, BC and Monterrey, NL , Mexico, and its corporate office is in Chula Vista, CA. The company's mission is to become the leading manufacturer of quality injection molded parts in the region. Arise Waco Scaffolding & Equipment has been providing superior quality scaffold solutions since 1945. Waco Equipment Co. operates as a subsidiary of Safway Services, LLC and provides scaffolding, shoring, forming services as well as various construction supplies. The company has a philosophy that safety drives efficiency and productivity, therefore, it is its foremost responsibility and number one value. Arise Waco Scaffolding & Equipmen is available exclusively through Safway Group which has locations in Cleveland, OH; Roseville, MN; Mandan, ND; and Tempe AZ. McMahon Steel Company, Inc. is Southern California's leading fabricator and erector of structural steel and miscellaneous iron. Founded in 1970, McMahon Steel remains a family-owned enterprise. They specialize in the detailing, fabrication and installation of structural and miscellaneous steel for commercial and industrial construction projects throughout the Southwest. Some of the clients they serve are schools, hospitals, office buildings, and industrial facilities, among others. Conveniently located in Chula Vista, California, J & C Lighting prides itself in offering unique residential lighting fixtures that will enhance any home. This privately owned company specializes in residential indoor and outdoor lighting fixtures that are tailor-made to meet their client's expectations. They also offer on-site professional installations if requested. Some of J & C Lighting's services include residential interior and exterior lighting, professional installations, specialty lighting, expert lamp repairs, and crystal chandelier cleaning, among others. Built in 1955 by an Italian couple from New York, La Bella Pizza has been committed to bring quality experience to all of their customers. This family-owned and operated company's cornerstone of their success has been providing a hearty Italian meal in a family atmosphere at down-to-earth prices. Headquartered in Chula Vista, California, La Bella Pizza deliver to homes and offices in the South Bay. They also serve breakfast, lunch, and dinner 7 days a week at their cafe. Granite Gallery is one of Southern California's largest fabricators and installers of countertops, backsplashes and flooring. Be it building a new house or updating existing space, this privately owned company's kitchen and bathroom product installation expertise can deliver an incredible look for their client's home. Granite Gallery has gained an impeccable reputation in the industry as a result of their relentless pursuit of perfection on every project installed. Granite Gallery also sources, fabricates and installs custom natural stone countertops, custom tile and also provide natural stone restoration services for their customers. GCE Industries, Inc., a subsidiary of Integrated Energy Technologies, Inc., manufactures and supplies pneumatic and hydraulic equipment, electronic equipment, and metal products to commercial and government customers. Its products and services include aircraft/aerospace precision weldments, power generation welded and mechanical assemblies, pipe and duct weldments, and machined products, electronic ground support equipment, inspection services, etc. Its customers come from the aerospace, defense, and power generation equipment industries. The company was founded in 1980 and is based in Chula Vista, California. MAAC was founded upon a vision to provide a place where local families in need could find the means to self-sufficiency. For generations, MAAC has responded to hunger and poverty by evolving its programs to meet the needs of the community. Their work is made possible by a number of factors: a strong commitment to those whom they serve, dedicated staff, compassionate volunteers, the creativity to deliver services matching needs in times of scarce resources, and donors who recognize the essential value of MAAC's service to their community. Headquartered in Chula Visa, California, Formosa Prosonic USA, Inc. is the leading manufacturer of cutting-edge speaker units for the original equipment manufacturers market. This innovative company also manufactures plastics products for electrical and electronics industry. Formosa Prosonic USA, Inc. was founded in 1998 and is based in Chula Vistain, California. Formosa Prosonic USA, Inc. has around 1,000 employees with nearly $5 million in revenue.